This property is 100 PCT Non-Smoking The Hampton Inn - Suites Providence/Warwick-Airport hotel is located adjacent to the T.F. Green Airport and it is our pleasure to provide complimentary 24 hour shuttle service to and from the airport. We are ten miles from historic downtown Providence Rhode Island thirty miles from Newport forty-five miles from Foxwood*s Casino and sixty miles from Boston. 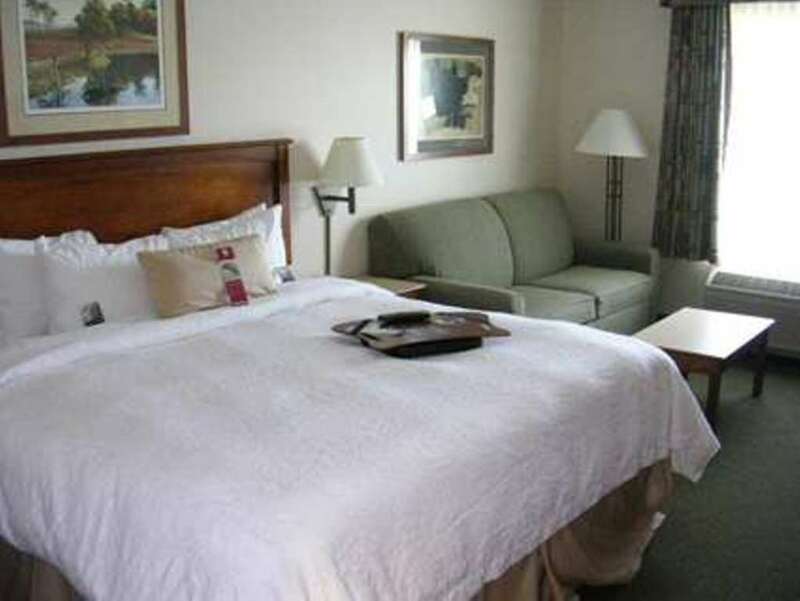 We are minutes away from many fine restaurants some of which are within walking distance such as Legal Seafood Chelo*s and Bertrucci*s. Our Warwick/Providence Hampton Inn - Suites features 173 tastefully appointed pet friendly guest rooms and suites some with full kitchen facilities. All rooms are equipped with coffee maker hair dryer iron and ironing board phone with voicemail and data ports wireless high-speed internet access and 41-inch LCD cable TV with complimentary movie channel. Sure to please the busy executive or leisure Rhode Island traveler Warwick Hampton Inn - Suites hotel guests will enjoy complimentary On the House hot breakfast buffet served daily the Atrium Lounge serving cocktails and appetizers nightly and room service by the Legal Seafood restaurant. Guests can relax in our indoor heated swimming pool and whirlpool and workout in the fitness center. Laundry/valet services a guest laundry facility meeting rooms and audio/visual equipment are available for a nominal fee. We love having you here in Rhode Island at the Hampton Inn Providence/Warwick-Airport hotel. Chelo*s: Great Family Dining large menu with lots of variety located just one block from the hotel. They even do Take Out.